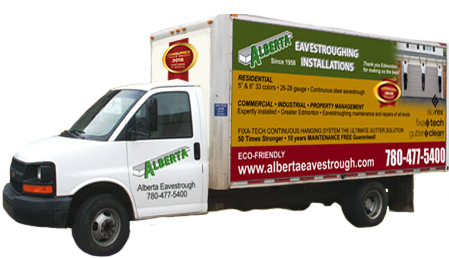 Alberta Eavestroughing Installations has been a part of Alberta’s construction community since 1958. 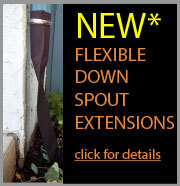 Never straying too far from our focus on the supply, installation and service of eavestrough systems. Alberta Eavestrough is always trying to improve customer service by implementing the best technology and people into its business. We have been awarded by Consumer's Choice Awards for 16 consecutive years for the sale and installation of eavestrough in Edmonton. The Consumer’s Choice Award represents the most valuable reward of all, the knowledge that we have earned the trust and loyalty of consumers. Our 5, 6, 7 and 8 inch eavestroughs offer function by removing rainwater and add a finished look to your exterior. Add to your new eavestroughs our T-Rex continuous fastening system for improved efficiency, effectiveness and sturdiness. Add to your existing eavestroughs our Gutter Clean System® Leaf Guard, an effective and affordable eavestrough protection system. We offer the widest range of colors for eavestroughs in North America. We have color especially for residential premium steel.